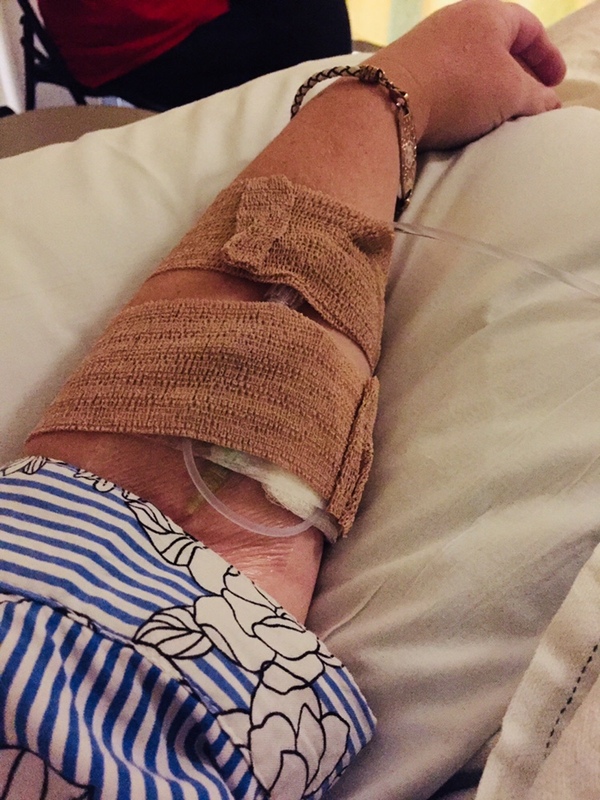 Today was my 10th chemo infusion for Crohn’s Disease. I started the treatment 13 months ago, and I’m finally feeling a bit more regular. I typically seem to get a good 4 weeks between my infusions, and even my GI symptom flare-ups aren’t as severe as previously. I spend much less time on the bathroom floor these days. Today’s treatment was nearly thrown off by my recent kidney infection, which required antibiotics (it’s dangerous to take antibiotics within a week of receiving an immune suppressing drug). I was especially nervous because our big trip to Venice, Italy next week, relied on this infusion happening today. I was able to sleep a bit today and I got through it relatively well. The nurse even found a vein with only a wee bit of difficulty! Yay! Today’s #OneGoodThing was a successful pre-trip chemo appointment. And as always, many heartfelt gratitude to my good friend Kelley, who takes me to these exhausting appointments! Day 248 of 365. And Day 979 in a row (here’s the first 366 & the following 365)!